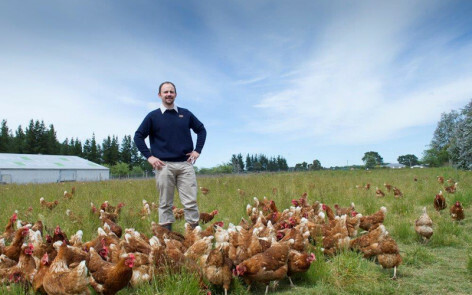 At Hawkes Bay Eggs the farm is a true family business. Between Laurie, his wife, two daughters and son, all pitch in with different aspects of the day to day running of the farm. All have their say in the business too. Six years ago, while sitting round the dinner table, the five of them decided colonies were the right thing to do. They started small and went from there. Colonies, they believe, are the way of the future. Originally a conventional-cage farm only, now more than half of their hens are housed in colonies and 10% are free range. Between looking after 42,000 hens and grading and sorting 36,000 eggs a day, it’s always busy on the farm. Thanks to automation and a highly skilled team most eggs make it to the supermarket within 24 hours of being laid. 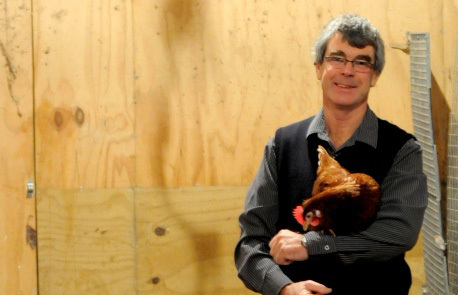 Previously a sheep farmer in Wanganui, Laurie wanted a change and chose egg farming. 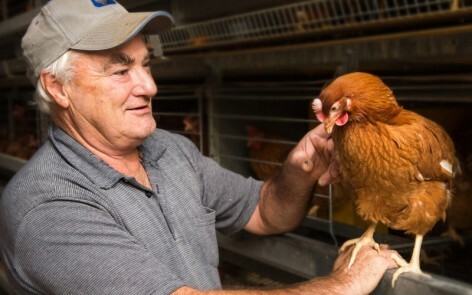 “Egg farming, like other types of farming, is all about knowing your animals”, says Laurie. 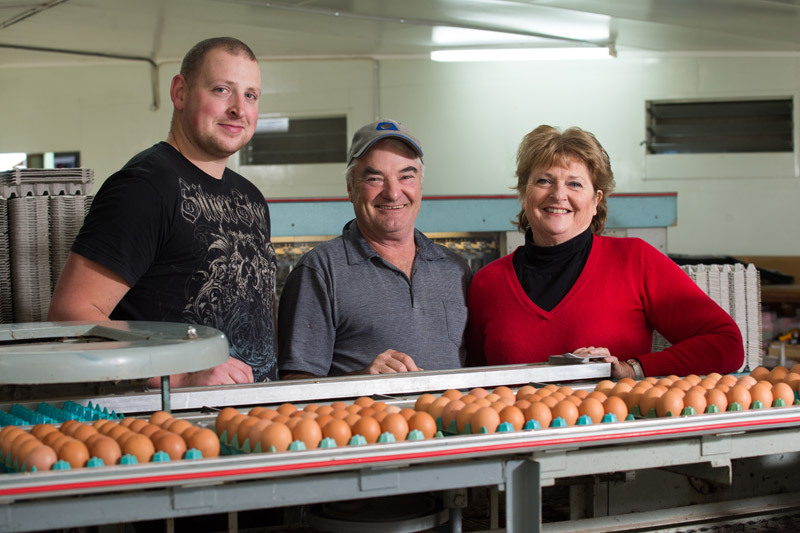 “Hens don’t like change so you need to always be aware of their feed, water and lighting conditions.” The Horsfall family have now been egg farmers for more than 13 years and love the lifestyle. At the end of every day, Laurie takes time out to tend to the many other animals on the farm – his sheep, cattle and working dogs. And it’s light out for the chooks at 9 o’clock. Hens need their 40-winks just like we do. 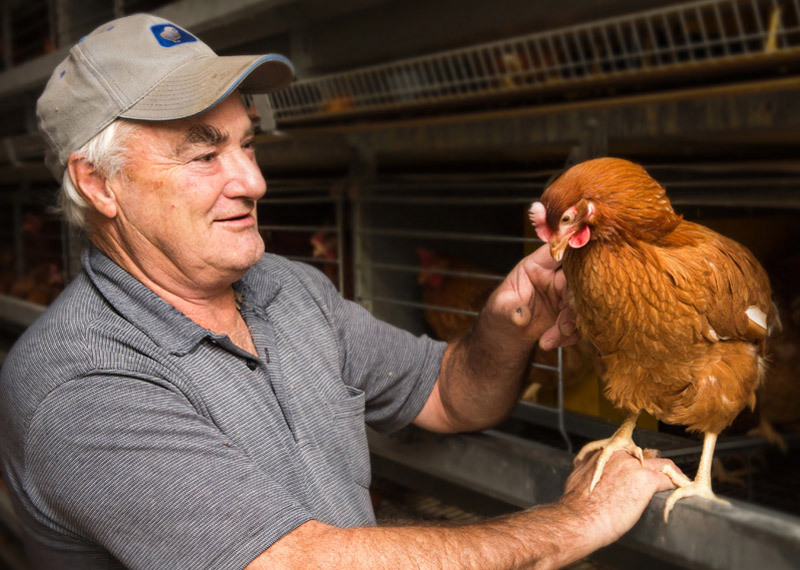 Egg farming, like other types of farming, is all about knowing your animals.